(PROVIDENCE, R.I.) – Edward Akelman, M.D., an orthopedic surgeon at Rhode Island Hospital and a leader in the field of hand and upper extremity surgery, has been elected the 67th president of the American Society for Surgery of the Hand (ASSH), the oldest medical specialty society in the U.S. devoted to continuing education related to hand surgery. Akelman also serves as professor of orthopedics and the vice chairman of the department of orthopedics at The Warren Alpert Medical School of Brown University. Rhode Island Hospital is a leader in orthopedic care, offering patients cutting-edge treatments with state-of-the-art tools and technologies, as well as the opportunity to participate in clinical trials, and the ability to benefit from extensive clinical research. 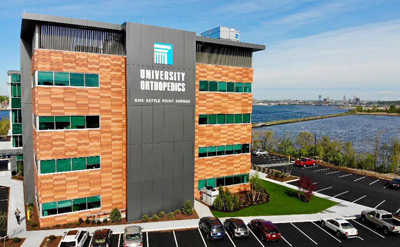 In 2011, recognizing an increasing demand for orthopedics care, Rhode Island Hospital and The Miriam Hospital created the Orthopedics Institute located on The Miriam Hospital campus. The program was designed to offer patients more streamlined care with the goal of returning patients to their active lives in a timely fashion. A resident of Barrington, Akelman joined Rhode Island Hospital in 1985 and University Orthopedics in 1988. Akelman, who was named president of the ASSH on September 8, has been a member of the ASSH since 1998 and has served as vice president and president-elect. He has served on many ASSH committees, such as the Journal Advisory Group, and the Publications and Products Advisory Committee. He has chaired the information technology advisory group and has served as the ASSH Education Divisions Director. Akelman earned his bachelor’s degree at Princeton University, and his medical degree at Dartmouth Medical School. He completed his general surgery residency at Peter Bent Brigham Hospital in Boston, orthopedics residencies at Yale-New Haven Hospital, and spine and hand fellowships at Yale-New Haven and Roosevelt Hospital in New York, respectively. He has served on the Board of Trustees at Rhode Island Hospital , and on Rhode Island Hospital’s Board of Governors and Medical Executive Committee. He is a member of the, American Academy of Orthopedic Surgeons ,the American Orthopedic Association,and the Orthopedic Research Society among others. His research interests include improving orthopedic education of medical students, orthopedic residents, and orthopedists in practice, nerve healing, and wrist injuries. Founded in 1863, Rhode Island Hospital in Providence, R.I., is a private, not-for-profit hospital and is the principal teaching hospital of The Warren Alpert Medical School of Brown University. A major trauma center for southeastern New England, the hospital is dedicated to being on the cutting edge of medicine and research. Last year, Rhode Island Hospital received more than $55 million in external research funding. It is also home to Hasbro Children’s Hospital, the state’s only facility dedicated to pediatric care. The mission of the American Society for Surgery of the Hand (ASSH) is to advance the science and practice of hand surgery through education, research and advocacy on behalf of patients and practitioners. Founded in 1946, this national and international organization is the oldest medical specialty society in the United States devoted entirely to continuing medical education related to hand surgery.